The month has arrived for Maryland pilots who have been eagerly awaiting the new tower at Frederick Municipal Airport [KFDK]. Since it is the home of the Airplane Owners and Pilots Association, naturally, they're quite excited. Below is an excerpt from an article regarding their new tower. May 1 was the day many in Frederick, Maryland, had long awaited — or dreaded, depending on your point of view. The home of the Aircraft Owners and Pilots Association (AOPA), defender of our freedoms to fly, was finally getting a control tower. Was it a day to celebrate or commiserate? A control tower had been in the works for years. FDK had grown up along with its host city, which had blossomed as Washington, D.C.’s northernmost exurb. Air traffic skyrocketed with FDK’s location just outside Washington-area Class B and ADIZ airspace. Earlier, a widened and lengthened Runway 5-23 and ILS had started attracting jets. Old Runway 1-19 was closed to avoid conflicts, offer more taxi routes and expand hard surface parking. [...]The old FDK airport was great in its time. And now the airport moves ahead, enhancing its potential. 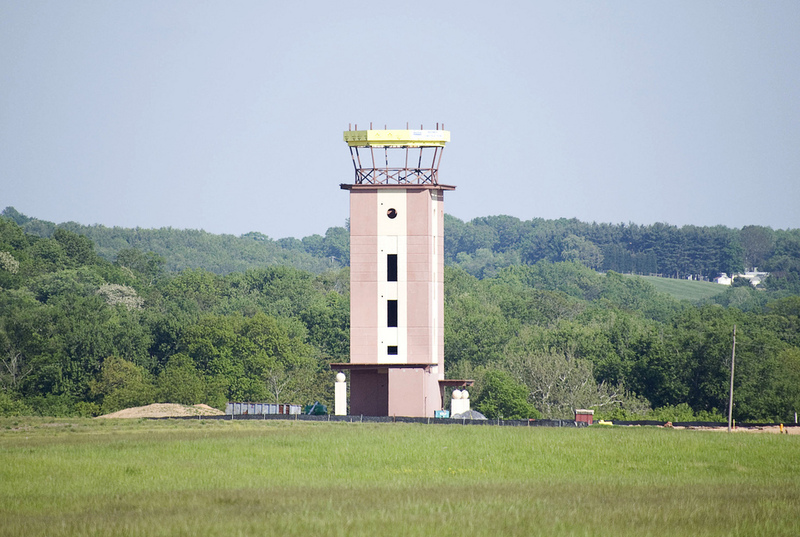 That tall, modern control tower — in classic Maryland brick finish — symbolically joins the Frederick skyline of downtown towers and steeples, the old city’s fabled “clustered spires.” That new airport tower will serve many needs. The full article can be found here. The new tower is featured on the new sectionals valid this month and can be seen on the updated SkyVector.com.